100 Acts of Kindness Project! 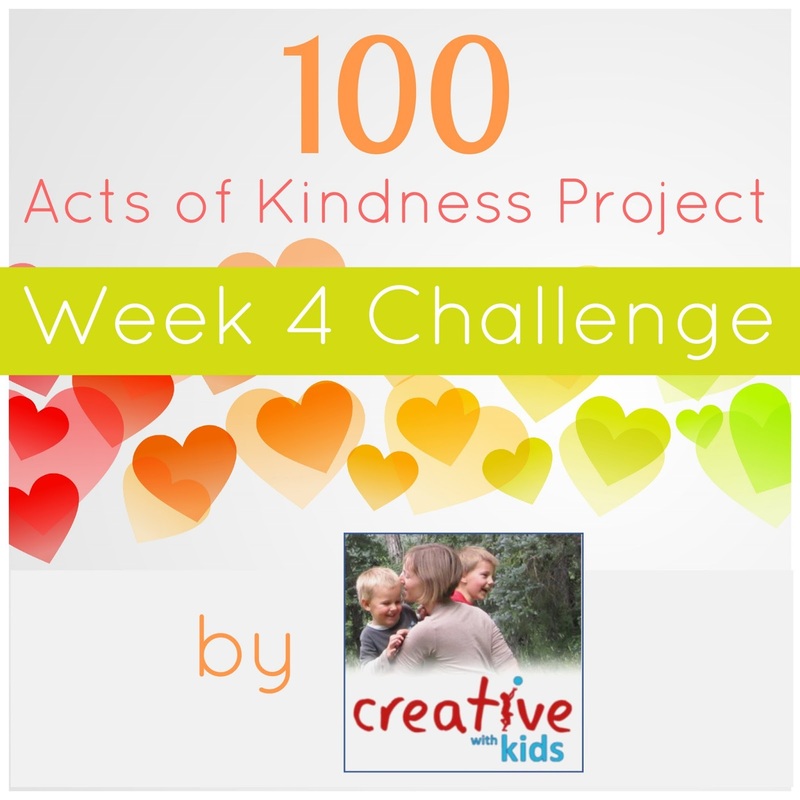 Our 100 Acts of Kindness Project (inspired by ReadWriteThink) is a challenge that I have been organizing for many years- as a blogger, as a mom, and as an elementary school teacher. Each year I come away more inspired to be better and kinder. We will be kicking off this year's challenge on Monday, January 21, 2013 and we will end it with a giant Kindness Celebration on Valentine's Day- February 14, 2013! Martin Luther King Jr. has said, "Life's most urgent question is, what are you doing for others?" So, what are you doing for others? Do you want to teach your children and students to do more and be kinder to others? Do you want to be a kinder parent and spouse? I am going to challenge you to join us in this kindness movement. 1. Accept the challenge to accomplish 100 acts of kindness with your families or students over the next four weeks (Jan 21-Feb 14). 2. Comment to let us know that you are joining us! 3. Create a way to record your acts of kindness. You can find several ideas here from last year. 4. Participate in each simple weekly challenge. We will give you one each Monday for four weeks. Come back to this landing page each Monday to find out your challenge for the week. The challenge images below will take you to each blog when you click on them starting on January 21st. 5. Join us in celebrating with a Kindness Celebration on Valentine's Day, Feb 14th! I am so excited that my friends from Coffee Cups & Crayons, The Educators' Spin On It, Teach Preschool, and Creative with Kids will be issuing our kindness challenges this year! I can't wait to see what they come up with to help us become more kind! Come back each Monday (starting January 21st at 9am PST) and click on the buttons below to unlock your new challenge each week. We have several more blogging friends who will be sharing ideas for encouraging and teaching kindness all month long, so check back on the blog each day to see what they are sharing. We can all do something. No act of kindness is too small. Come and join us in this challenge! Grab a button to add to your blog if you'd like and spread the word. We are in. I am doing this with my son!! We would love to do this!! Let's do it! My family and I are in! My two boys and I are in! My son and I are in! Fun! Can't wait to start. Count us in! My 5yr old asked if we could celebrate Valentine's Day this year and my first thought was the 100 Acts of Kindness project. Can't wait! Yes. This is just what our family needs! I complete a service act with my two boys every day. I am always on the lookout for new ideas. Thanks for doing this! We are joining you from south bend Indiana!! Can't wait to start this with my class !! Count me in! I'll be blogging on Everyday Acts of Kindness for this project on Feb. 6th! Thanks so much for organizing this wonderful challenge! Count us in :) Thanks for organzing this! Very excited to share this with my children! Oh fabulous!!! We'll give this a go for sure!!! My family in jumping in! Thanks for spreading goodness. Can't seem to connect to week one page. The week 1 challenge goes live at 9am PST so check back in an hour! So glad you are participating. I started this with my daycare kids and they had a blast. Today we made heart shaped cheerio's for the birds and placed them out on our tree. They were soo excited. My Daycare is doing this. We started out with a simple but fun to do Heart shaped feeders. The kidos had a blast and cant wait to bird watch. We are in at home and at school! My daycare and my family are in, too! We're looking forward to doing some heart-shaped bird feeders this week. We are with you. Kindness wins! My daughters, 5 and 3, and I are all in! We would love to join in as well! Do you have any suggestions for teens? I would love for my youth group could do this! Christy- Yes! Would love your youth group to participate. Basically all of the activities/challenges could easily be done with teens. I have done many of them with the teenagers I work with in our youth group. Any service activity would work, "heart attacking" a friend's locker or bedroom door with paper hearts and candy, going to pick up trash at a local park, writing kind notes to parents/teachers who have helped/inspired them, doing a free babysitting night/afternoon so that parents could go on a date for V-day, etc, choosing a sibling or friend to do 5 kinds things for, etc. The acts of kindness don't have to be anything huge. I'll bet if you had the youth group brainstorm ideas they would come up with tons! I know I'm late, but I'm in. I will probably be sharing this on my blog. I am in on the random acts of kindness challenge I will be doing this at my preschool and at home with my daughters! This is exciting. I will have lots of pictures so if you are interested I can email you copies of my Arizona babies doing great things! So excited. Im a little behind in starting this project but would love to be part of it. I will participate with my 3 year old daughter as well as with my 2nd grade class. I'm so excited about this!! This is perfect! We are joining a bit late, but its just what our family needs! Thank you so much! OOPS! We're a little late but our family of 6 is joining in!!! Hi there! What a great idea and project! I'm a childrens workshop owner working with expat families and i want organize the same project here in Istanbul with your permission. Am i allowed to translate and use your idea? I am so excited about this. I am in! What a fantastic idea. I have never heard of this but I am in and will be doing this with my nurture group students at school. My Peacemakers art therapy group will be joining! All your act of kindness ideas is inspiring. I have to do this all act of kindness for my family.